The future of marketing is cross-platform collaboration. 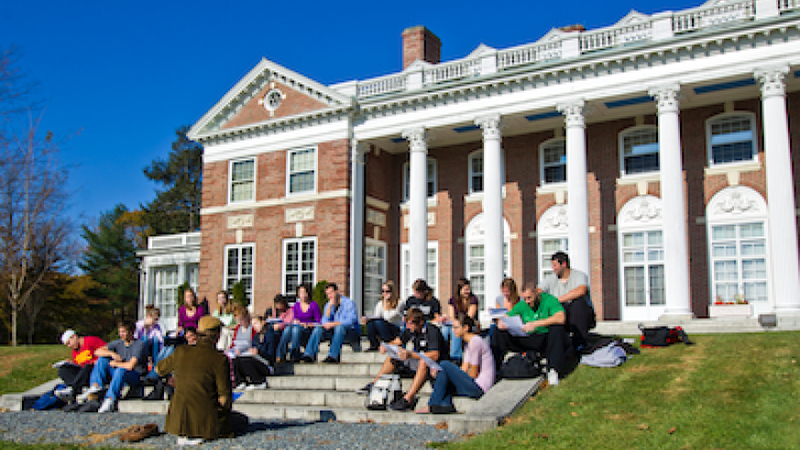 Stonehill College takes a unique approach to it's Marketing MBA program. When researching graduate programs, you’ll likely see messaging from colleges and universities across an array of media platforms. The goal? Building brand awareness while communicating exactly how they can meet your needs. It's a perfect example of integrated marketing communications (IMC) at work — marketers, advertisers, public relations specialists, copywriters and graphic designers collaborating to create a convincing message, and then making sure you see it. 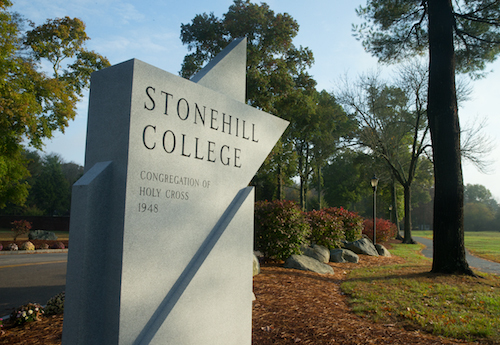 Stonehill College recently launched its IMC program, steering away from the typically business-centric IMC. It emphasizes creativity and broadens the scope to include communication, marketing and graphic design, which helps students view the marketing field through a variety of lenses. “IMC is embedded in every industry that provides a service or provides goods in some way,” says Melissa Ratliff, director of graduate admission at Stonehill College. Massachusetts has over 80 institutions offering advanced degrees. This makes distinctive messaging more important than ever because it's vital in recruiting the next class of students. Stonehill's IMC part-time master’s degree program lets students graduate in as little as two years. Fall and spring courses meet just one night a week, which is ideal for working professionals. What's more, the interdisciplinary program relates to nearly every field. “Stonehill really has a handle on the interdisciplinary focus; a real attribute to the program,” says Ratliff, adding that the program stands out from an MBA program because it studies issues from many different perspectives, allowing you to better draw out your creativity in your career. Stonehill College faculty have extensive experience in the field. All are highly regarded professionals in the industry, known for their creativity and networking. Stonehill students also work alongside other working professionals who are looking to advance their careers. McGinnis, who carried out research on underdogs in sports, society and business, knows the newness of Stonehill’s IMC program lets it be more innovative and flexible, but also knows prospective students may see it as an underdog. But being an underdog can actually give you a business advantage. “One of the examples that always comes up as an exemplar underdog is Avis against Hertz,” McGinnis says. “Avis had this old campaign that said, ‘We’re number two.’ Avis used that to their advantage. Stonehill College is conveniently located in Easton, Massachusetts, just 22 miles from Boston and 35 miles from Providence. This provides access to research, cultural experiences and countless internships. Publications like U.S. News & World Report, The Princeton Review, Bloomberg and Forbes repeatedly single out Stonehill as being among the best when it comes to value, outcomes and a commitment to making the world a better place. For more invormation, visit stonehill.edu.